We're so excited because we've never met a waffle connoisseur before! Pleased to meet you! We've heard all about the grandiose waffle dishes you've whipped up in the past. The waffle bread pudding looked life-changing and those peanut butter sandwich waffle sticks? We're all of them. We think a chef who specializes in serving waffles is a mind-blowing idea and we want you to know, we support all your waffle-endeavors. 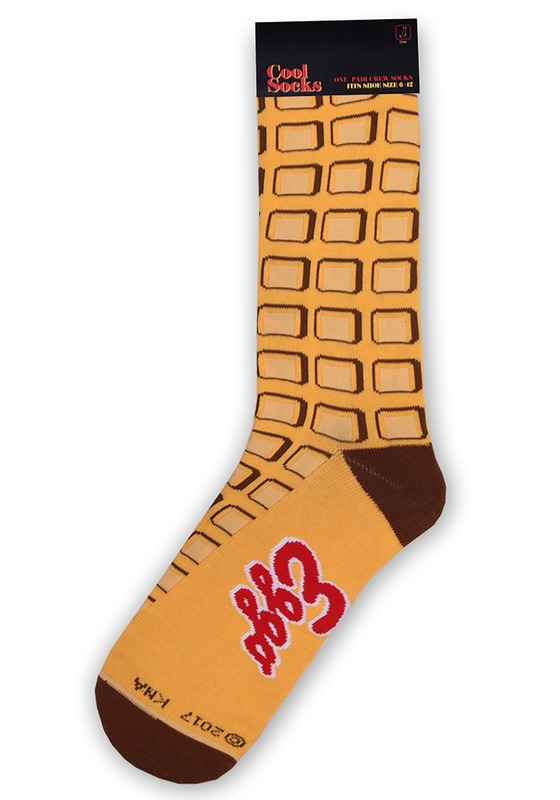 We also think that you need to introduce these Eggo cool socks into your life. 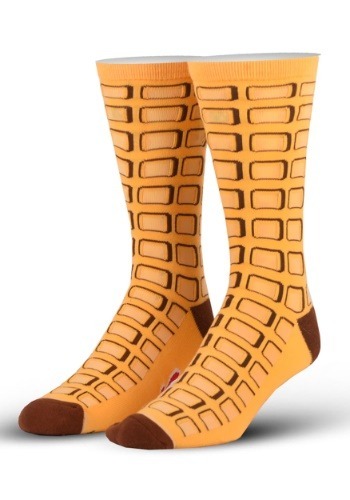 A waffle fanatic, such as yourself, will love rocking funky waffle printed socks on their feet. It's just about the last place anyone would ever think to find a waffle so you'll love the unexpected quality. Made from a blend of cotton, these lightweight socks feature a fun waffle graphic with an Eggo design on the bottom of each foot. Wear them whenever you serve up your next highly-anticipated waffle dish! When you've got these delicious socks on, you might notice a few people drooling at your feet. Now, not everyone is into tickling, so if your toes are just for you, well, you know the line to scream when they go after you!